Hey loves welcome back!!! Happy Monday! I decided to start rolling the Spring looks even tho Spring has not yet Sprung here in the big apple. 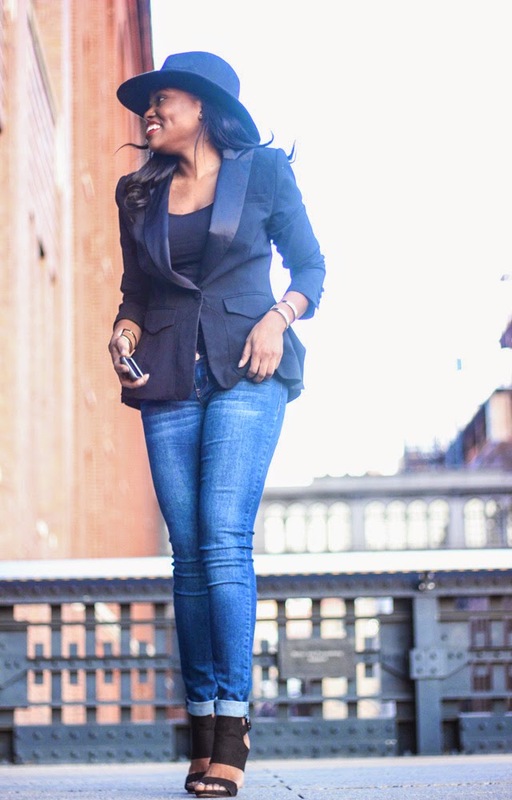 I was recently speaking with my girl friend Dadouchic about my love for denim and I was telling her that growing up in Haiti in a very strict Christian household, denim pants were not allowed in my wardrobe. When I moved to the states living with family members where I can pretty much wear whatever I wanted to wear, I went crazy with denim pants. In my experience finding denim for women with curves is extremely difficult. Some tend to squish our booty and make it look like fried platanos :) while others will totally make our curves look non existent. Today I am sharing one denim trick that will enhance your booty. There is a very popular trick in makeup called highlighting and contouring, if you are looking for denim that will enhance your booty and your curves in general choose a pair of denim that will highlight your curves or where they are supposed to be. Look at the photo below. 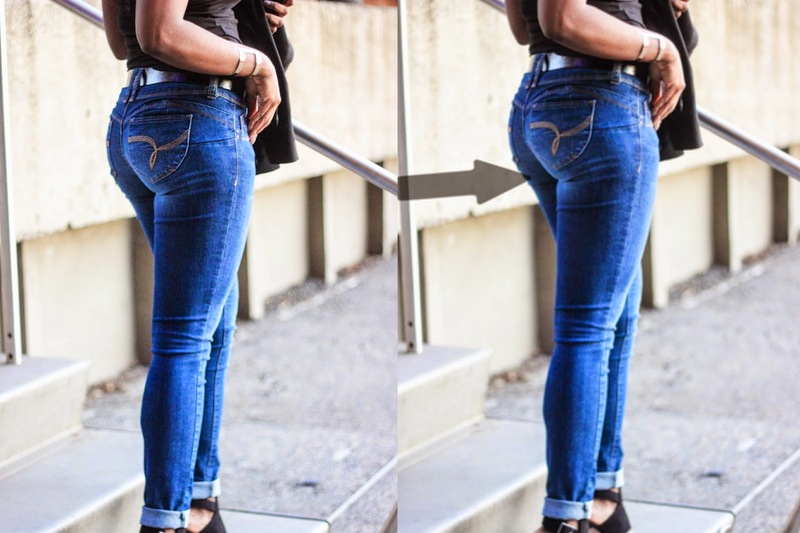 See how there is a lighter wash where the arrow is pointing, right on the booty cheeks? That same wash is also present in front of the denim as you can see in the previous photos which enhances the thighs. I truly believe that I finally found the perfect denim for my curves from YMI Jeans , also available at JC Penney and other retailers. These pants are stretchy but look like expensive denim. They are so comfortable. I wear mines at least twice a week. See how I styled these pants over the last couple of weeks in the video below.